Published by Long Finance (April 2018), 77 pages. 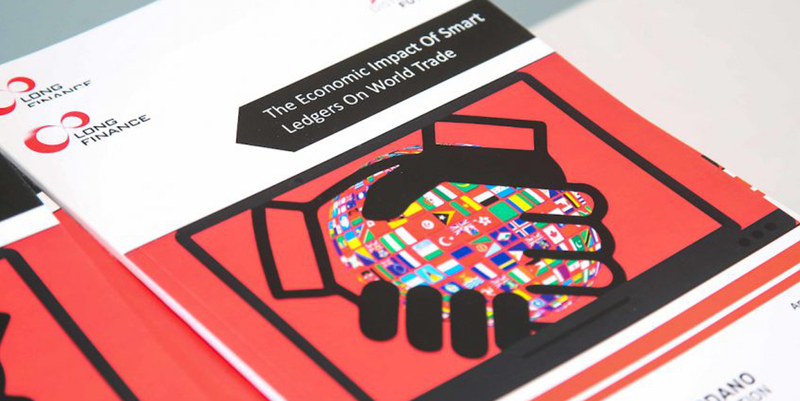 On 17 April, we were pleased to announce the publication of a report we’ve been sponsoring this year, “The Economic Impact Of Smart Ledgers On World Trade”. The report, sponsored by the Cardano Foundation, came as a result of the the Worshipful Company of World Traders and the Distributed Futures’ interest in quantifying the potential impact of Smart Ledger technology on international trade. Written by Douglas McWilliams, Cristian Niculescu-Marcu, and Beatriz Cruz from the Centre for Economics and Business Research (Cebr), it includes a Foreword by Michael Parsons FCA, Chairman of Cardano Foundation, and a Preface by Professor Michael Mainelli, Executive Chairman of Z/Yen Group and Master of the Comany. The cost of importing a single container could be reduced by around $46, by simplifying procedures. Potential benefits are driven by a 2.5% cost clawback assumption, supported by case studies on previous technological advancements in trade. One such case study is containerisation, where the cost savings have been calculated to be in the range of 20%. If reduced uncertainty is, also, taken into account, using option pricing theory, the potential gains become even larger, with a potential monthly net cost saving of $172 million (or, approximately, $2 billion per annum). This would boost world GDP by $10 to $20 billion and could, potentially, add between 450,000 and 900,000 to the worldwide demand for labour, boosting wages and living standards worldwide. The World Bank estimates that 10.7% of the world’s population still lives in extreme poverty, with an income below $1.90 a day (2011 prices). The report also includes the results of a global survey of 247 contract and commercial managers, focusing on the respondents’ awareness and use of Smart Ledgers, the importance they attach to various aspects, and the areas of ‘pain’ that could be relieved by the adoption of Smart Ledger technology. There are some truly insightful results. As Michael Mainelli wrote in his Preface to the report: “Trade reaps economic benefits from specialisation and comparative advantage, creates prosperity, distributes success and wealth, and collectively enriches all of our societies and communities. Hopefully, knowing the scale of relative benefits can help speed adoption of some boring technology – ‘multi-organisational databases with a super audit trail’ – for the benefit of all of us”. You can also view Distributed Futures’ other Events and Publications. 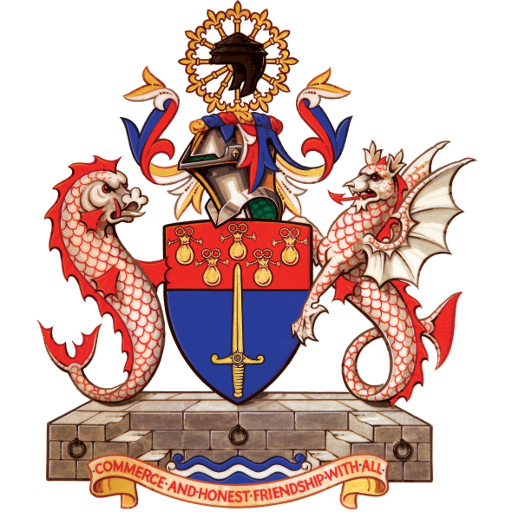 The Worshipful Company of World Traders would like to acknowledge the significant contribution of the Cardano Foundation, IACCM, the City of London Corporation, the Centre for Economics and Business Research, Z/Yen, and Long Finance.